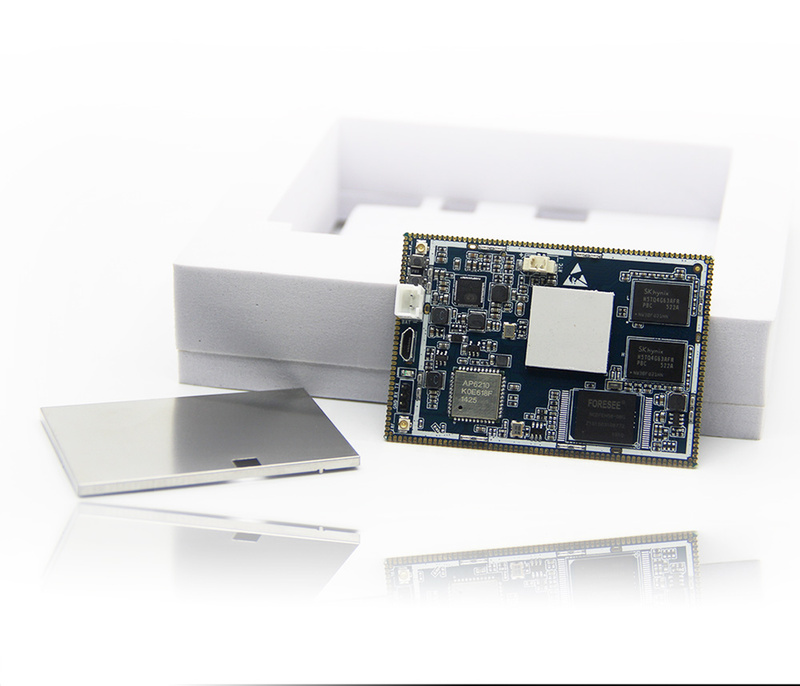 Up to now, we have three open source hardware models based on Allwinner A20, they are CubieBoard2, CubieBoard2 Dual-Card version, and CubieBoard3. 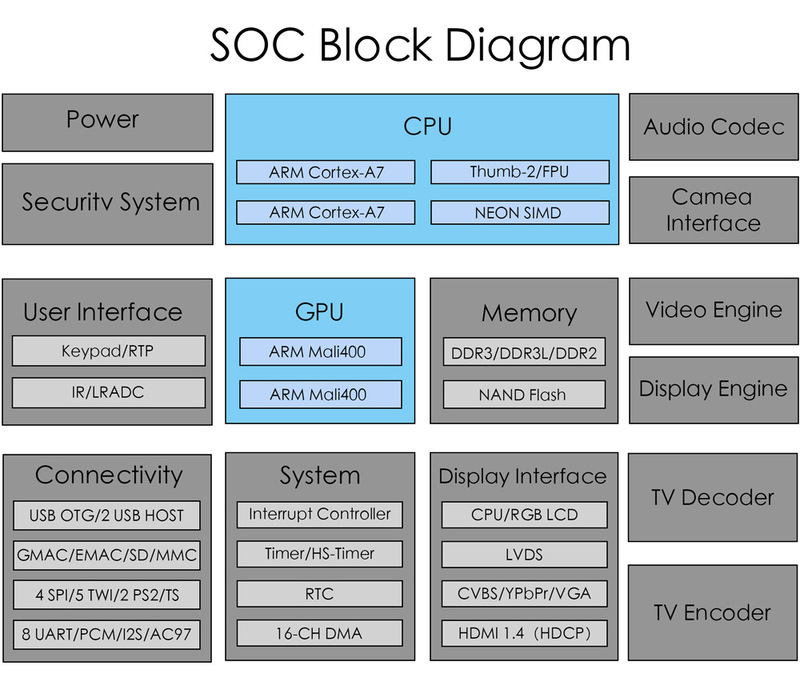 And our team also has made many projects that adopt with A20 chipset. So we have a lot of experiences on this solution. And there is one other point that A20 is really a wonderful application processor with very rich features and with low cost at the same time. 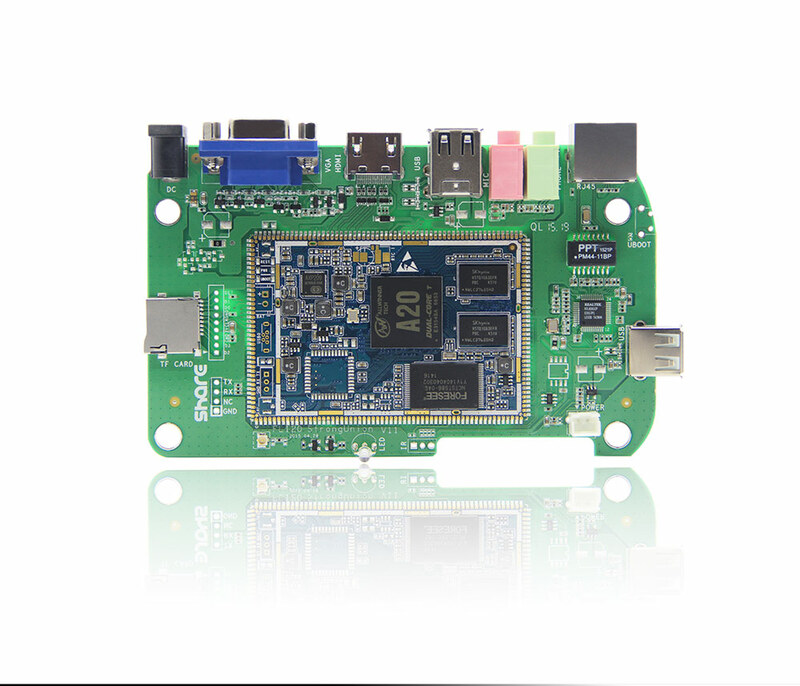 Although we have three model open source hardware products on sale to meet the needs of different customers. But during the operating period, we still found many projects can’t get the best match. Many customers ask our team to modify the hardware. But in the hardware modification aspect, what we can do is very limited. Yes, we can easily remove some parts and components when we are producing these boards. But it’s very difficult for us to modify the whole board design. Even a few small change, the production engineering will be changed. In this case, its cost will rise. And also our company management cost will generate additional overhead. This kind of issue was seen quite often, and it hinders many innovations. To sum up the reasons, we decided to make a very easy to use computing module, core-board, hardware minimum system, or such like. It has to be low cost, complete, and very sturdy. So that’s why about Einstein series, Einstein-A20 is the first member. Einstein-A20 is a very easy to use module/core-board, and we offer a development kit for evaluation. 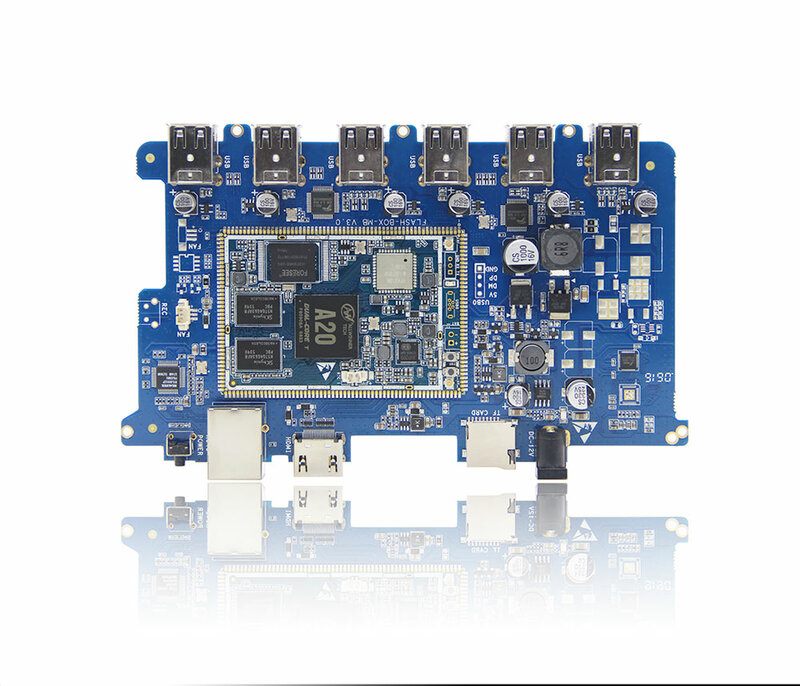 The Einstein-A20 development kit would include Einstein-A20 board, Wifi&BT antenna, USB-URAT debug cable with 2.0mm pitch, a micro USB cable, a IPEX connector AV cable, and a 5300mAh 3.7V Li-Po battery. 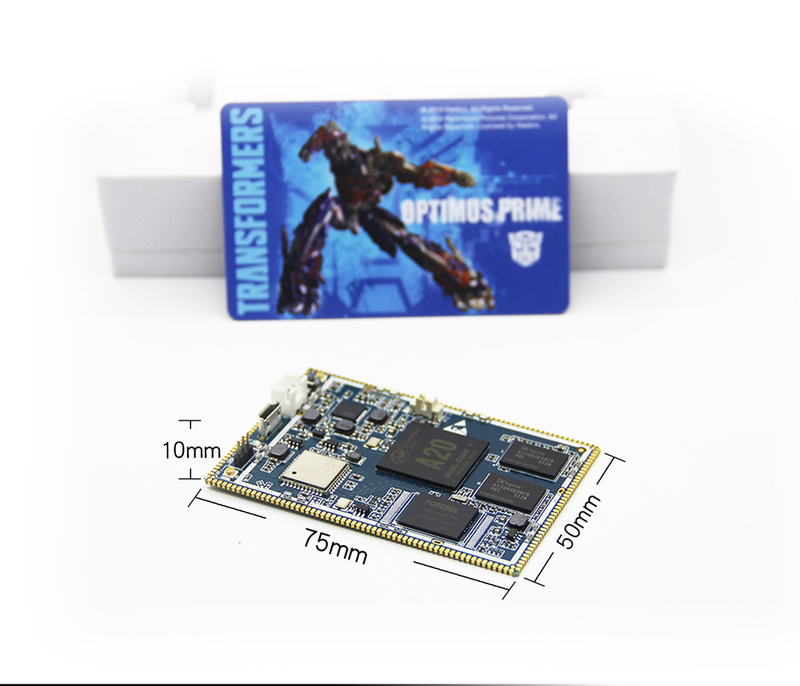 With these accessories, you can easily develop or evaluate the core-board. 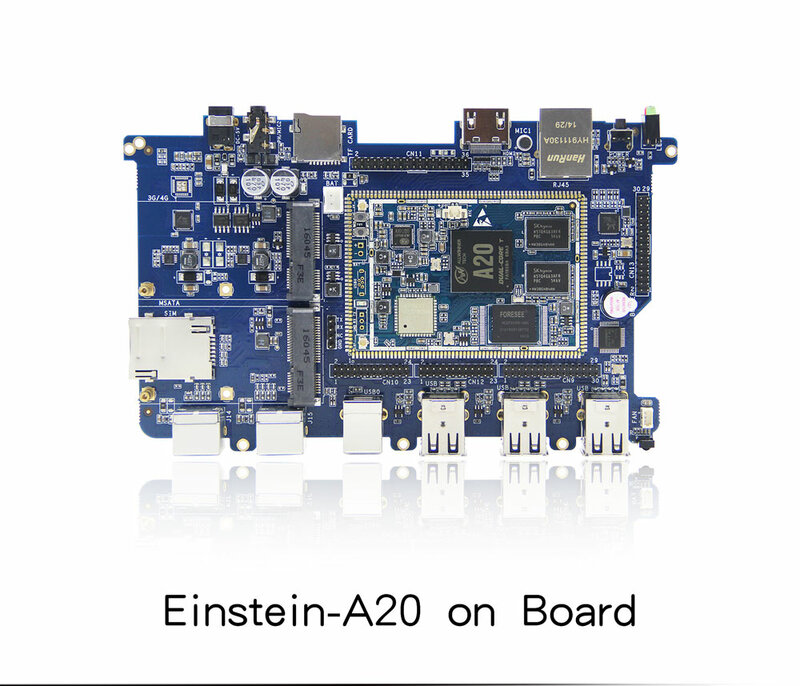 Generally, most of the core-boards in the market can not run dependently without carry-board, but this is precisely the most important highlight of Einstein-A20. 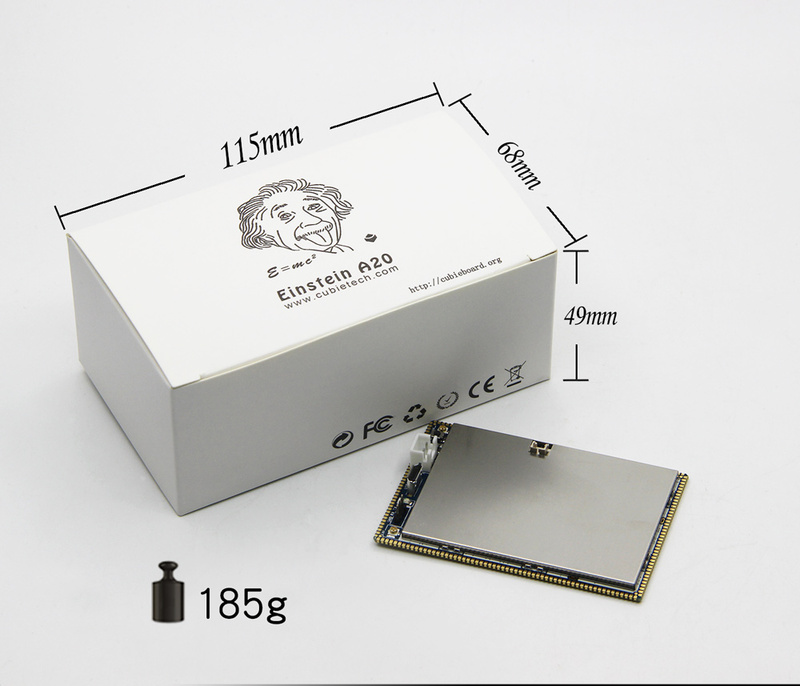 So that, you will spend a little few cost to know if the Einstein-A20 will fit your project or not. 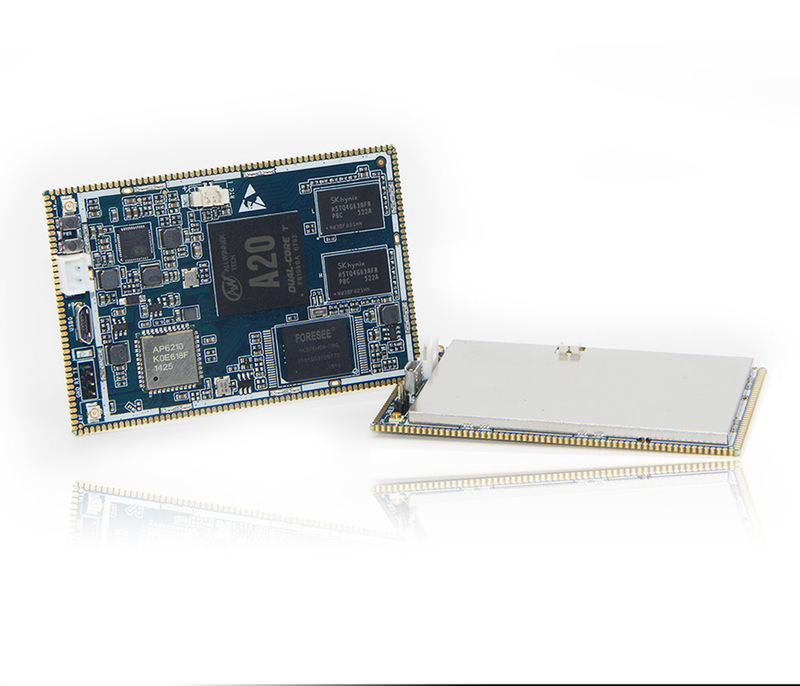 Einstein-A20 module is a core-board, but we prefer call it a Minimum computing System. It’s a perfect computer with arithmetic unit, control unit, storage unit, input devices and output devices. The arithmetic unit and control unit are integrated within the chipset A20. 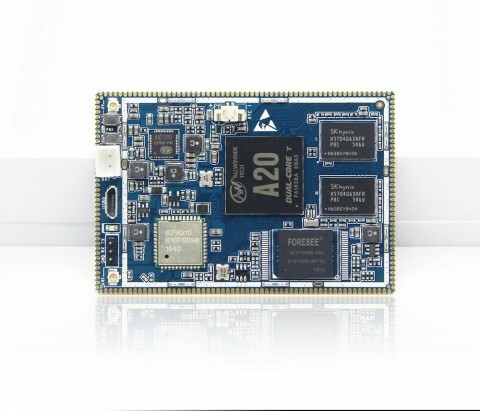 Einstein-A20 has 1GB memory and 8GB storage on board. 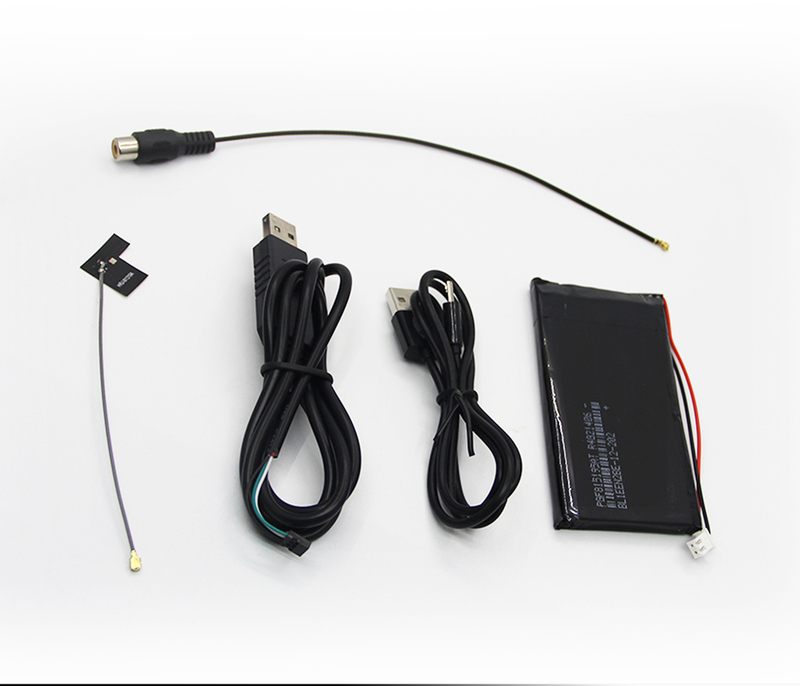 The USB-UART debug cable is the input device, people can operate this minimum computing system via this cable. And the output device is CVBS signal via Ipex to AV cable. 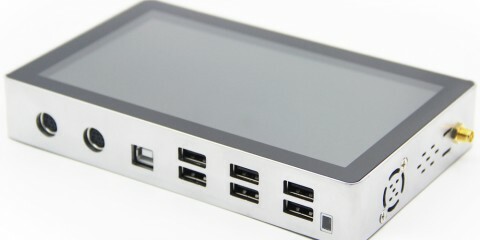 But beyond that, Einstein-A20 has complete power management, it supports wall adapter power, USB power and battery power. The built-in complete power management simplifies the project development and application. 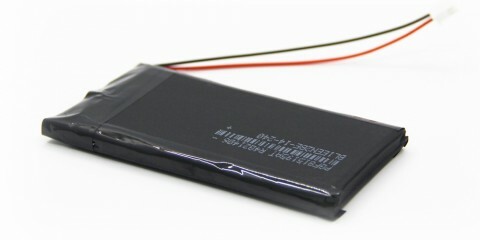 And the battery power feature provides the possibility for mobile applications. Einstein-A20 is a complete minimum system, from a theoretical point of view, developers just need to extend the signals, circuits and features what they want. So it’s very easy to do product board development. 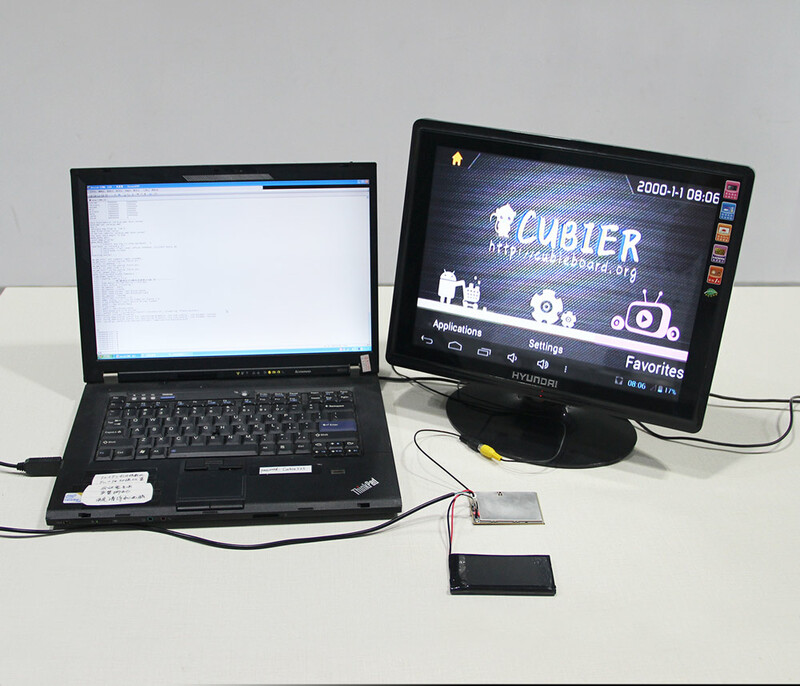 And what’s more, Einstein-A20’s vendor, CubieTech company has developed an application demonstration product for the developers. 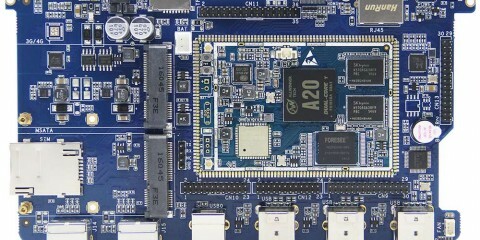 It is named CubieAIO-A20, which’s full name is Cubie All-In-One computer based on A20. We supply the fully open hardware design file, source code, necessary documents, and we sell the machine as well. We think it will be helpful for all the developers in the initial stage. 4. 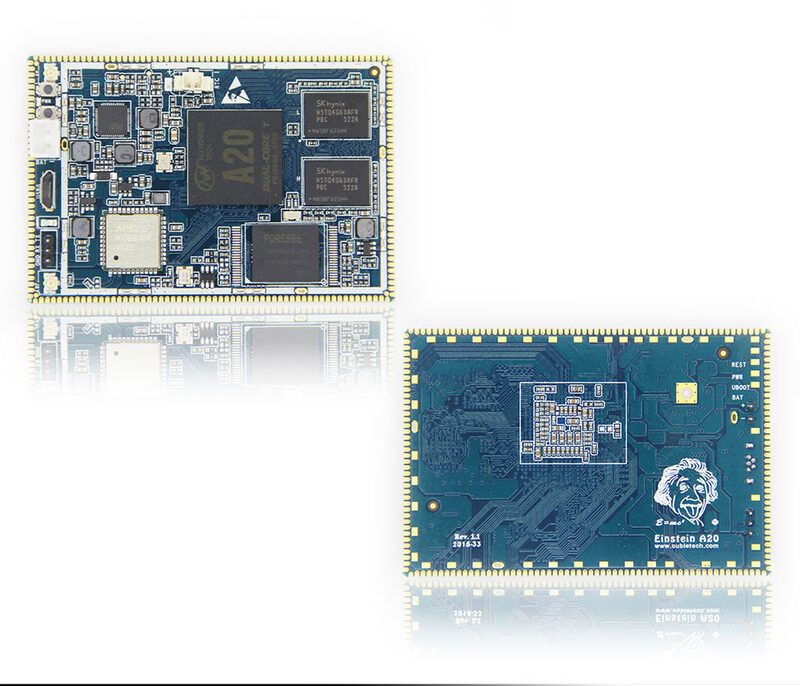 Wirelss: AP6210 onboard, wifi 802.11 abg/n, Bluetooth 4.0. Supply Ipex connector, can support ceramic antenna, FPC antenna, telescopic antenna. 7. Demension: 70mm*50mm*4mm, support whole board metallic shielding case. Help the developers easily pass the EMC certifications. 8. Keys: Power on/off key. Reset Key. U-boot key is for reflashing the images. 10. Expansion: 200 pins stamp hole package, 3 of them are GND. 197 pins are for signal pins. 11. Software: Inherit the CubieBoard2 and CubieBoard3 software ecosystem. It’s open source hardware, can support Android and many Linux distros. 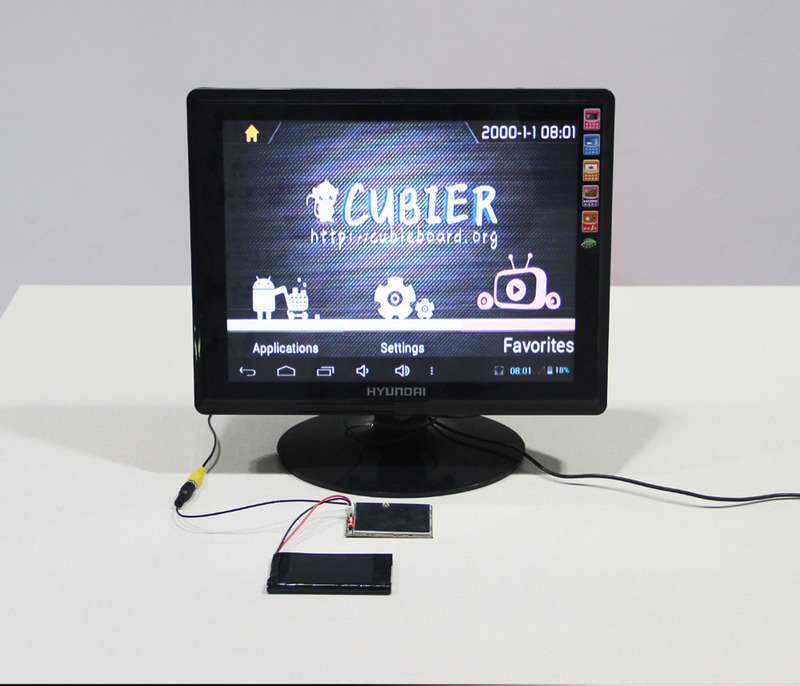 CubieBoard official team will maintain Android, Debian, Linaro Ubuntu system.